Lewisham Deptford MP Vicky Foxcroft visited young Londoners to see how a skills and work programme is helping to boost their confidence and employability. The 10-week programme, run by national employment and skills specialist Seetec in Lewisham, supports 16 to 24-year-olds in an area of high youth unemployment to gain qualifications and workplace skills and includes 100-hours’ work experience. Shannon Lindley-Reseigh, 19, from Eltham, is one of ten students in the current group. She had switched between customer service, retail, hospitality and admin roles since leaving school at 16, before health issues left her seeking employment. Shannon has gained qualifications including Level 2 (GCSE-equivalent) English and Level 1 in personal wellbeing, progression and British values. She is completing her work placement in an Adult Training Centre where she has provided admin support and assisted students with their learning. Sam urged more local employers to tap into to Seetec’s services, to meet their skills needs and work together to provide real opportunities for local young people. 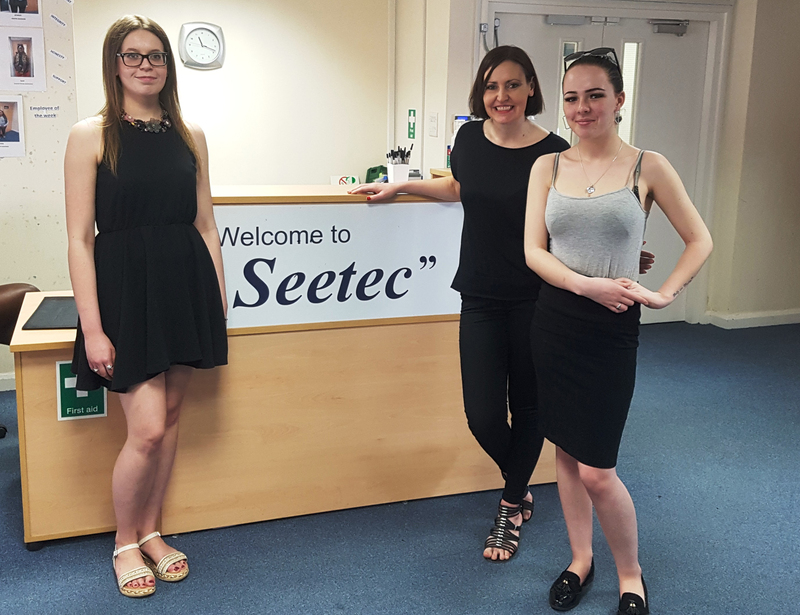 I encourage all local employers to consider working with Seetec to offer work experience and support local young people in gaining valuable skills."